An annual tradition with maritime music, water from the seven seas, and navy bean soup! DATE/TIME: Saturday, April 13, 2019 from 12:30-3:30 pm. 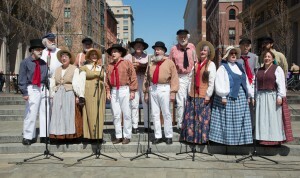 Maritime Voices performs from 12:30-12:45, between 1:45-2:15, and from 2:15-3:30).